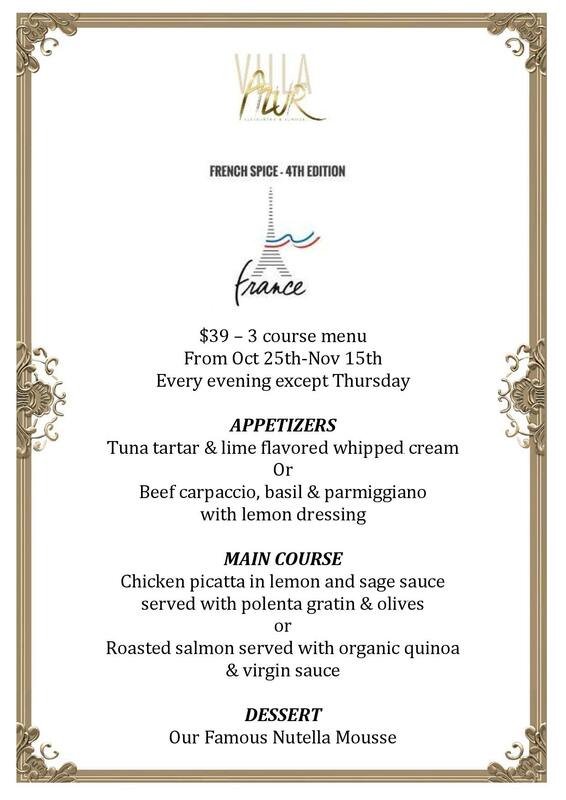 FrenchDistrict > Florida > News, Events > How do you spice up your evenings? 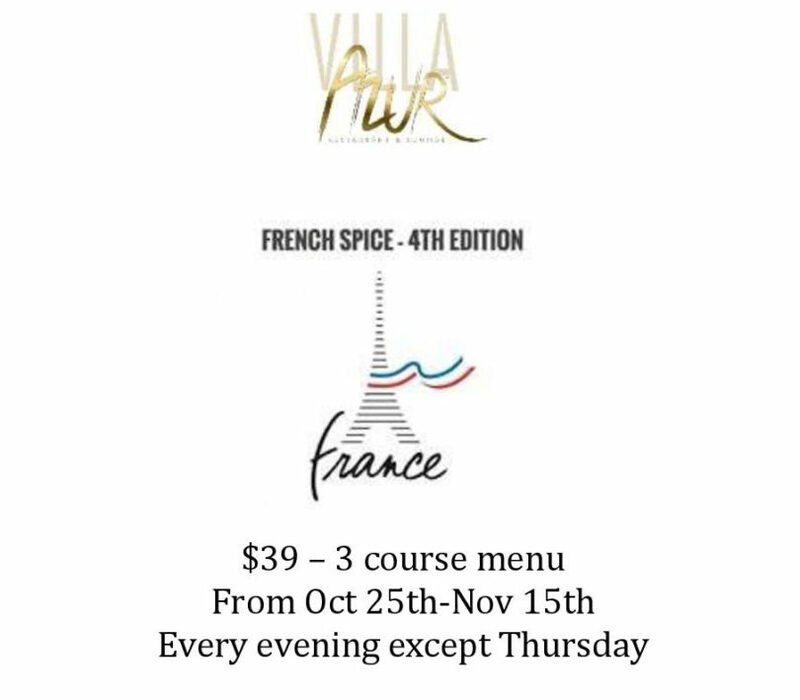 Enjoy dinner at the Villa Azur – South Beach restaurant with their famous French Miami Spice, $39, 3-course menu – daily, except on Thursdays, from October 25th to November 15th, 2013. Villa Azur brings a friendly atmosphere, vibrant energy and quality service to Miami. Three French friends came together to create Villa Azur, a restaurant showcasing cuisine from the South of France and Italy in South Beach in an exceptional decor.